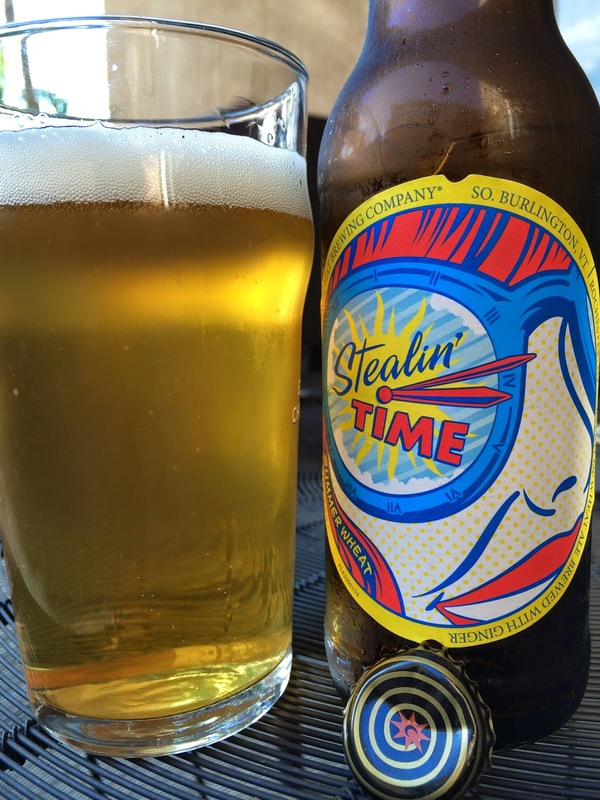 Magic Hat sent me their new summer seasonal, Stealin' Time Summer Wheat, which is to hit shelves this month. This is a wheat ale brewed with ginger. The label depicts a super close-up of a woman's face, the sun reflecting in her sunglasses. 5.5% alcohol. Wheat aroma, really had to get my nose in there to find any ginger. Lightly sweet flavors to start though balanced. Next, a tangy twang aggressively shows up. At the finish is where you will meet the ginger. The ginger shows up unassumingly, but as you drink the beer, it does start to grow. Thick texturally which hurt refreshment. Was OK and as much as I love ginger, it got a little annoying by the end of the bottle. Check it out. It will be widely available.